HomeHealthAbdominal pain during pregnancy: Should you be worried? When the abdominal pain is accompanied by vomiting, fever, chills and abnormal vaginal bleeding. If the abdominal pain is continuous, considering round ligament pain only stays for some minutes. The abdominal pain makes it difficult to walk, speak or even breathe. According to Health Management Information System (HMIS) across India, 5.55 lakh miscarriages have been recorded from April 2017 to March 2018, of which 4.7 lakh occurred in government hospitals Abdominal pain plays a vital role in miscarriages. Premature birth occurs during the 24th and 37th weeks of pregnancy. The Global Action Report on Preterm Birth by World Health Organization in collaboration with other reports peg preterm births in India at 3,519,100, about 24 percent of total number. As data indicates, India's tops the list of 10 countries contributed 60 percent of the world's premature deliveries. 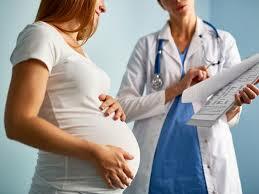 Doctors and Gynecologists suggest that pregnant women should go for regular medical checkups during pregnancy. After 20 weeks of pregnancy, women witness high blood pressure, and women's urine can also contain protein. It can slow down the blood vessels in the blood vessels. There are many symptoms like headaches, nausea, swelling, stomach pain and visual disturbances. Bacterial infections can cause urinary tract infections, which can affect the urinary tract. UTI leads to infection in the urine, bladder and even kidneys. Symptoms that accompany this condition can include irritation in the genital area, urge to urinate, burning sensations during urination and back pain. According to studies, UTI can be prevented by regular consumption of cranberries. During pregnancy, infection of the pregnancy It occurs due to the physical changes in the body According to doctors, it is easy to diagnose in the first and second trimesters. There are associated symptoms such as lower abdominal pain, vomiting and lack of appetite. Gallstones are a common problem during pregnancy due to excess oestrogen. Symptoms that can lead to gallstones are being overweight, having been the age of 35, and a medical history of stones. Women experience major complications of severe abdominal pain when the egg is implanted at a place other than uterus. Ectopic pregnancy brings pain and bleeding between the 6th and 10th weeks of pregnancy. Women are at greater risk if they have undergone endometriosis, tubal ligation and intrauterine device at the time of conception. AdvertisingRest after instant pain. Take warm water bath. Lower petal pain. Use a hot water bottle for reducing pain sensation. Take special precautions for stomach virus and food poisoning. Make sensible food choices. While most of the pain is not considered worrisome, women should keep an eye on the warning signs associated with abdominal pains.